Many museums offer virtual field trips, but these are often website-based with interactive tools and videos. The Computer History Museum provides students a much more immersive, real-life experience. Ms. Dabrowka recently traveled to Silicon Valley and San Francisio through Severn's Millard Faculty Travel Grant and visited the museum in-person. She was excited to share the trip with her students...virtually! 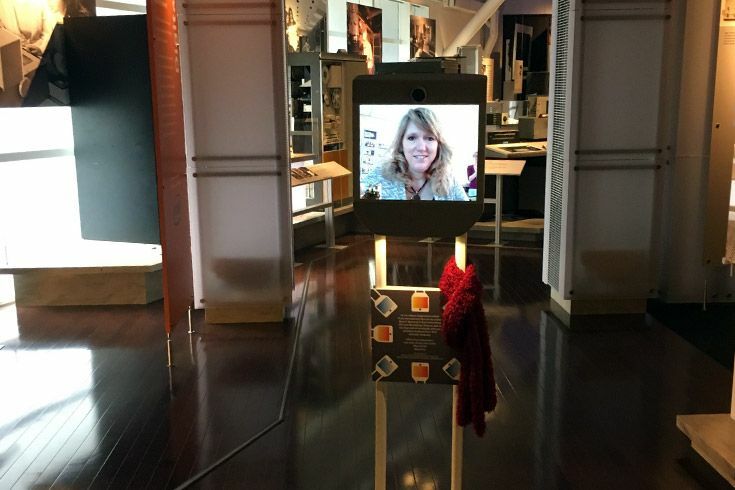 Using a telepresence robot known as "Beam," visitors can navigate through exhibition spaces. A museum docent leads the tour and provides the same educational programming that visitors would have on site. Visitors feel as though they are walking through the exhibits right along with her. The Beam telepresence robot at the museum. How did they build the computer that "broke the code" during WWII? How do you program a computer? Do they have museums like this all around the world? How does a self-driving car work? Beam Us to the Past…and Future! On the day of the trip, Ms. Dabrowka gathered her students around the SMART Board in the Maker Lab. 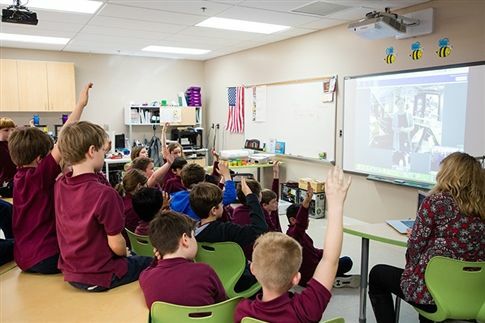 Using her laptop, she connected with museum docent Stephanie Corrigan, logged in to control the robot and traveled with her students from the early days of tech to the future. They examined a range of technology artifacts, from barely-recognizable machines to a fully operational self-driving car. 2nd graders eager to ask their questions! At each exhibit Ms. Corrigan asked the class questions and encouraged our lower schoolers to make connections between the tech we use every day and the origins from which it came. Take a look at the Beam interface in action! Our primary goal is to engage students. We use technology in the classroom when doing so creates greater meaning for our students through experiences they wouldn’t otherwise be able to have. Throughout the year Ms. Dabrowka keeps current on new tools and trends that can benefit our students and provides unique and purposeful opportunities for learning. From design thinking challenges in the Maker Lab to creating online student portfolios and virtual trips like this, she plans rich, memorable experiences that enhance our academic curriculum. Where might they travel to next? 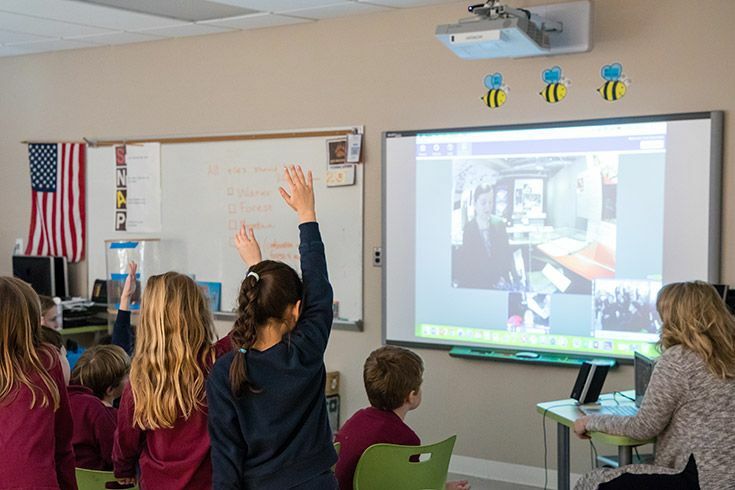 Virtual field trip, real-life questions!